So I was listening to The Clash’s Combat Rock over the weekend and I suddenly had a craving for Turkish bread. Hear me out, Joe Strummer, the singer of The Clash, was born in Turkey and I started thinking about how punk rock it would be for me to bake bread on a Saturday night. Whatever. It made sense at the time. I’m glad my stream of consciousness leads me down these roads, because yum. 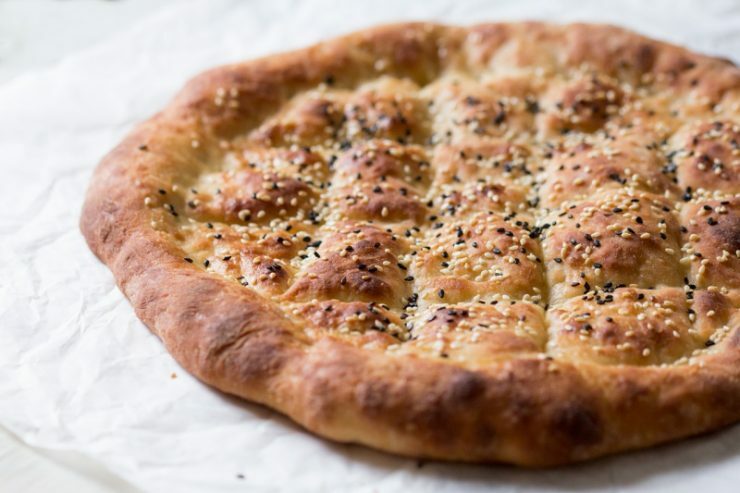 This no knead bread recipe is gonna be your favorite, and if you have an extra few minutes you can make some zhoug for dipping. You must try this! This bread recipe from Lazy Cat Kitchen is super easy to make and so, so, so delicious! It’s perfect for dipping, but don’t stop there. I’ve even made myself a loaded Mediterranean veggie sandwich using this bread. Zhoug is quickly becoming my go-to condiment. 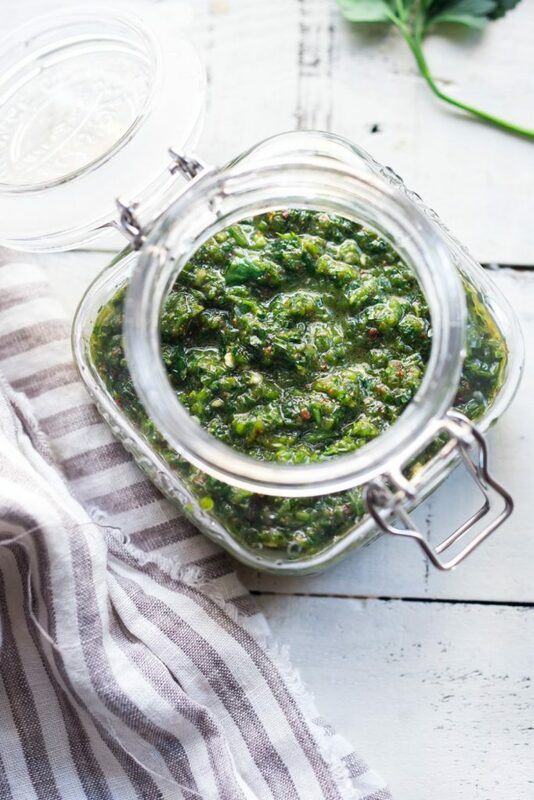 From sandwich topper, to dip, to marinade, to omelets, zhoug just makes everything better. This recipe from Feasting at Home is my favorite. You guys, this stuff is spicy, but you can totally adjust it to suit your taste.